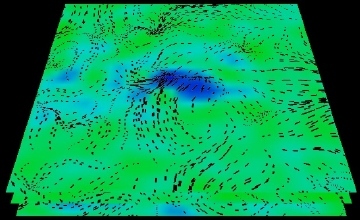 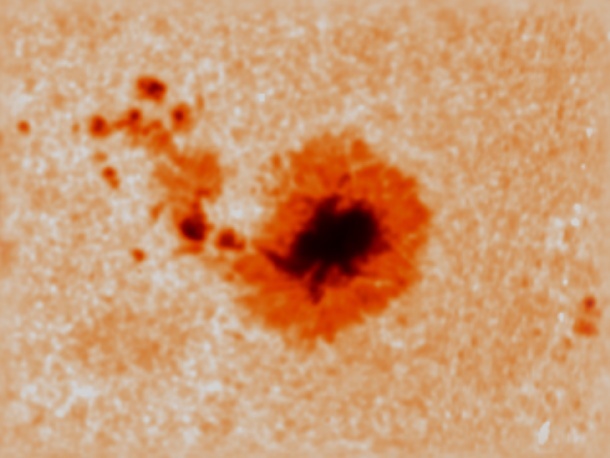 Caption: Two active regions and their subsurface structures are the main characters of another "inside story" from the Michelson Doppler Imager (MDI) instrument on SOHO. 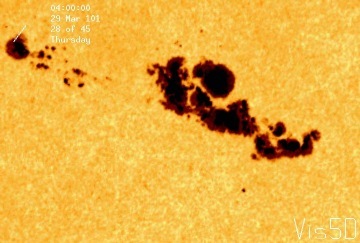 Active region 9393 (upper two images), of previous Hot Shot fame - twice! 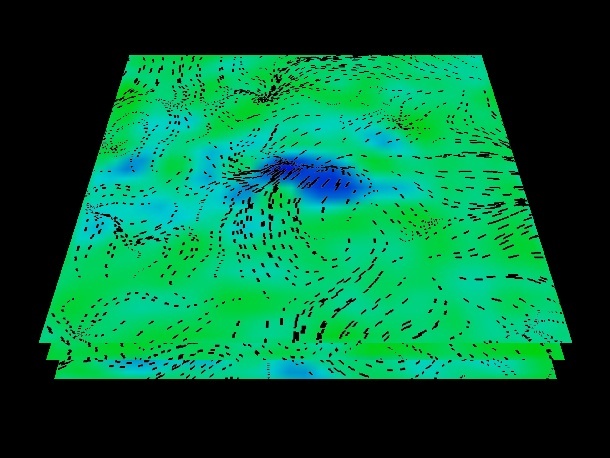 - was studied in detail by a group led by Alexander Kosovichev at Stanford. 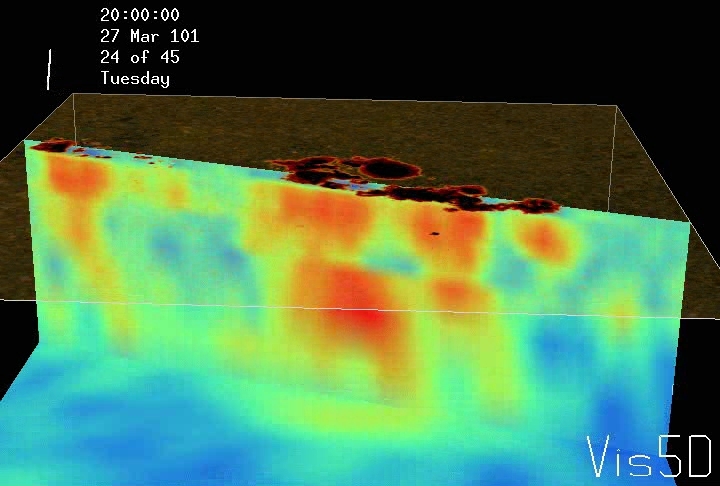 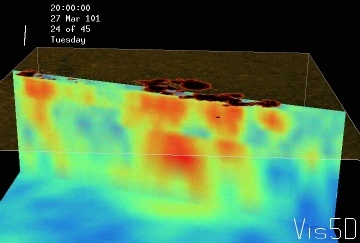 Using data from the Michelson Doppler Imager (MDI) instrument on board the Solar and Heliospheric Observatory (SOHO) spacecraft to infer the sub-surface structure beneath the region, the team found that such regions are comprised of many small magnetic structures that rise quickly from deep within the Sun. Active region 9114 (lower two images) was studied by another team led by Junwei Zhao, also of Stanford, using SOHO MDI to explore the structure beneath a sunspot to understand why they sometimes start rotating. 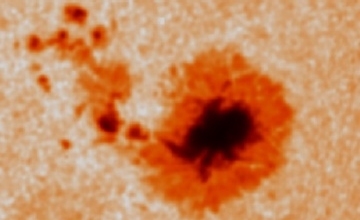 Zhao's team discovered that there was a strong plasma vortex beneath the rotating sunspot and that the magnetic fields lacing the sunspot appeared to be twisted beneath the surface.